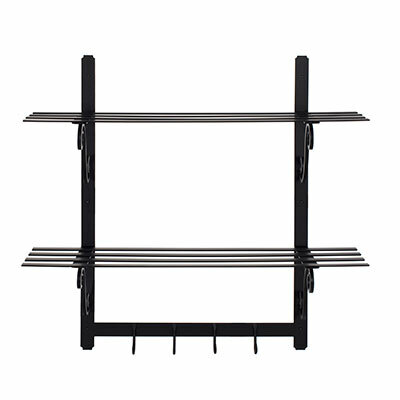 There is no doubt that stylish, wall hanging shelving units have a place in every home and our Hitcham Shelf Rack is among the best. 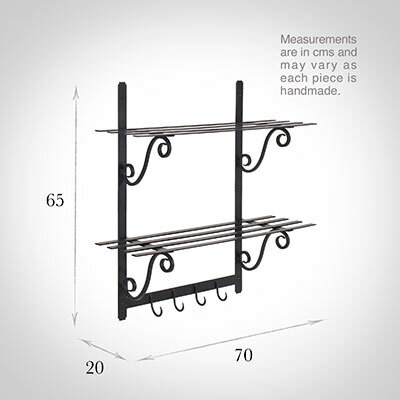 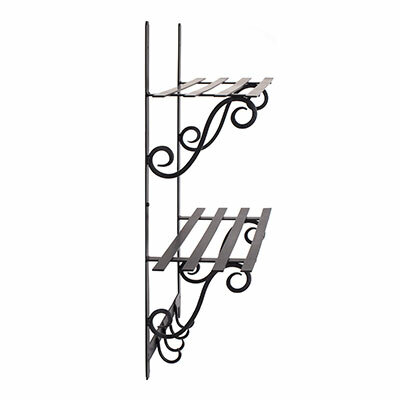 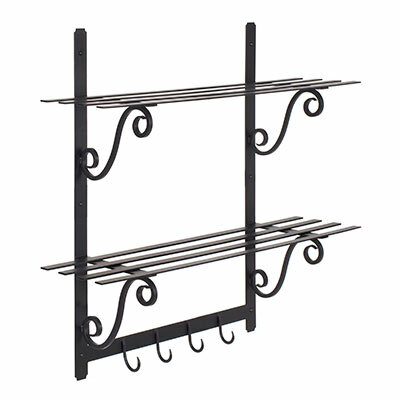 Incredibly versatile, it is as beautiful as it is practical, offering heaps of shelf space and four deep hooks to help you de-clutter your room. 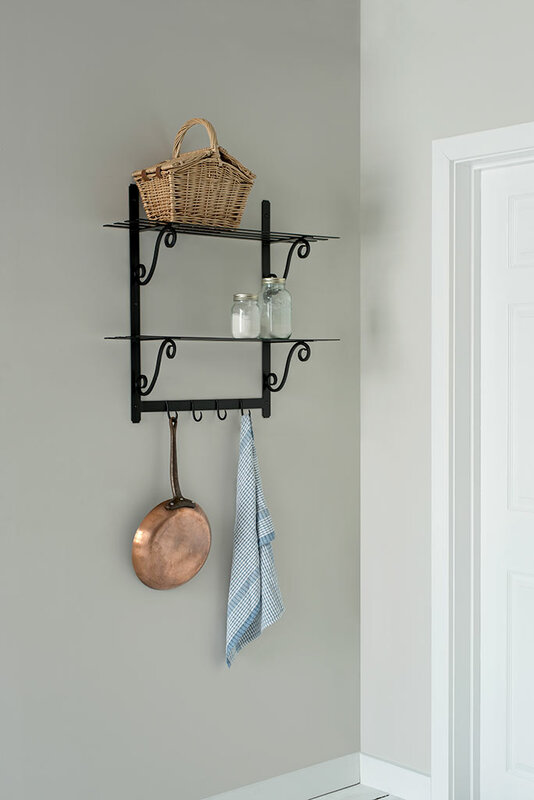 Particularly useful in a kitchen, utility or hallway, you could use it to store cookery books, storage jars and plant pots or to hang utensils and pans. 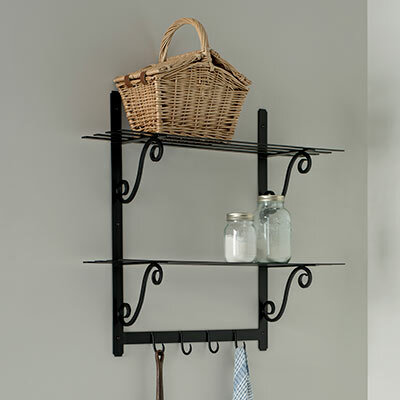 In a bathroom it could house your towels and toiletries while in a child’s bedroom, it would make a lovely, quirky book case for their favourite books, toys and nick-nacks. Hand forged from solid steel and featuring traditional, open style shelving, the Hitcham is painted in our smart, hard-wearing matt black finish that will bring a touch of quallity to any scheme. It also encompasses our lovely, scrolled wall brackets which can be found here. 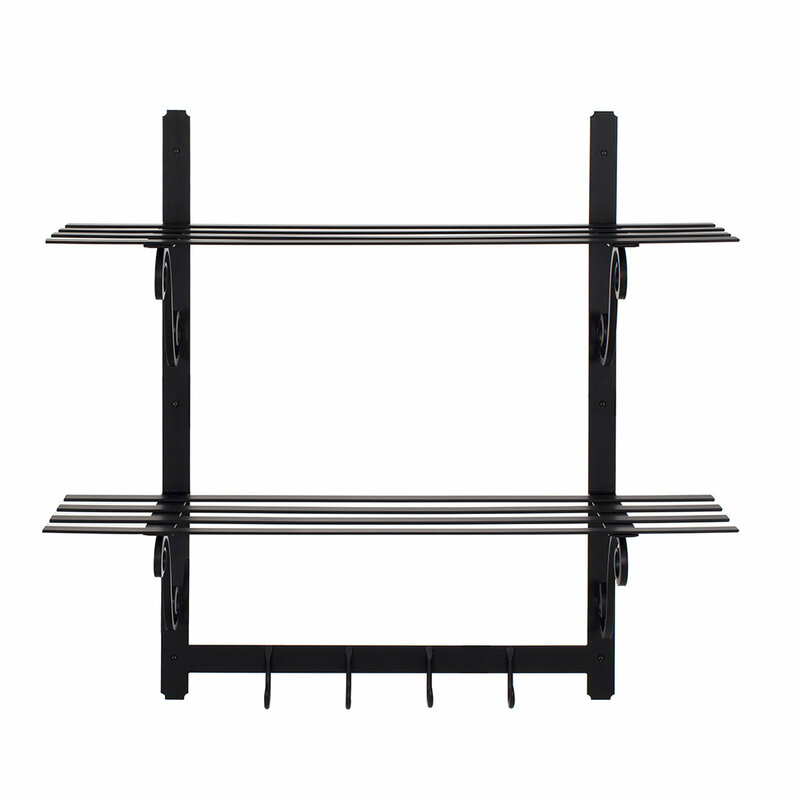 The Hitcham Shelf Rack is 65cm high x 70cm wide and 20cm deep and is supplied with fixing screws in the same finish. It is also available in our clay, plain ivory and polished colours.